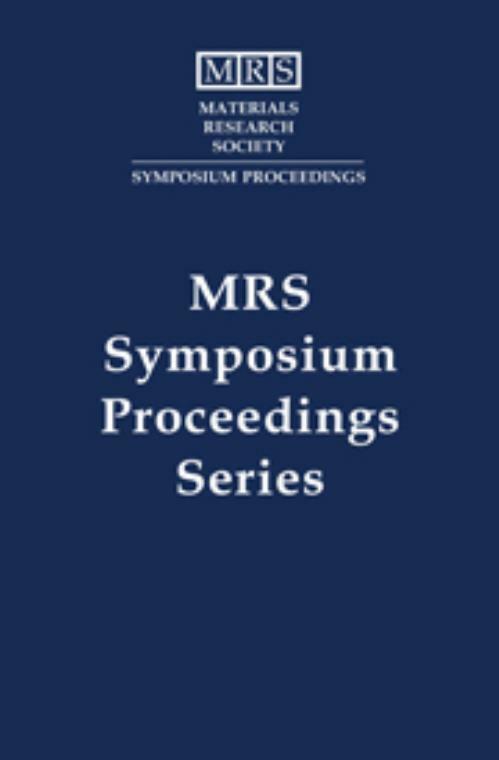 Since nanocrystallites are often formed as a product of devitrification of metallic glasses, and supercooled liquid plays an essential role in bulk glass formation, recent research pertaining to these three states of alloys were brought together for discussion into a single MRS symposium. Bulk glassy and bulk nanocrystalline alloys are important because they demonstrate exclusively good static and dynamic mechanical properties, magnetic properties, and good corrosion and wear resistance. Some of these alloys also exhibit superplasticity, including high-strain-rate flowability. The reports in this book span formation and processing methods of bulk glassy, nanocrystalline alloys; glass- forming ability and thermal stability; devitrification and phase transformations; properties; general physical, mechanical, magnetic, electrical, and corrosion resistance; structure of bulk glasses; supercooled liquid and nanomaterials; and diffusion. Topics include: atomic and electronic structure; glass-forming ability and thermal stability; crystallization and decomposition; quasicrystals; soft magnetic properties; hard magnetism and mechanical and other properties. Akihisa Inoue Tohoku University, Japan. William L. Johnson California Institute of Technology. Reinhold H. Dauskardt Stanford University, California.